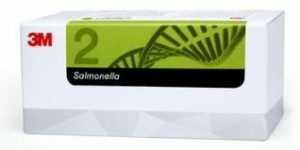 USDA Food Safety and Inspection Service Chooses 3M for Salmonella and Listeria monocytogenes Testing. 3M Food Safety is honored to announce that following rigorous performance evaluations against other commercially available rapid methods, the United States Department of Agriculture’s Food Safety and Inspection Service (USDA FSIS) has chosen 3M™ Molecular Detection System as the primary method to be used for the detection of Salmonella and Listeria monocytogenes: two major pathogenic organisms continually threatening food production and processing. For over 150 years, the United States Department of Agriculture has worked to improve the lives of Americans through many facets, including transportation and production of food. The U.S. Department of Agriculture’s Food Safety and Inspection Service (USDA FSIS) is devoted to their mission statement: “Protecting the public’s health by ensuring the safety of meat, poultry, and processed egg products,” and 3M Food Safety is proud to diligently work with them on this. Salmonella can infect the digestive tracts of humans, warm and cold-blooded animals (this includes your beloved pets), and the environment. Salmonella is known to be a significant problem in the poultry industry throughout the world and is tightly regulated. Poultry and meat- associated products are recognized as a recurrent vehicle for Salmonella outbreaks. According to the U.S. Centers for Disease Control and Prevention (CDC), every year Salmonellosis results in around 19,000 Salmonella-induced hospitalizations. 3M Food Safety is assisting the food and beverage industries to detect this dangerous pathogen through the use of the 3M™ Molecular Detection Assay 2 – Salmonella and the 3M™ Petrifilm™ Salmonella Express System. Listeria is a ubiquitous and hardy bacterium. It can survive acidic, higher salt, or refrigerated conditions. Because of this, it poses a unique challenge to the food industry. But, not all species are pathogenic to humans and animals. L. monocytogenes, one of the species considered a pathogen may result in Listeriosis if ingested. In the United States, the CDC estimates that 1600 people are infected with Listeriosis annually. L. monocytogenes has a higher mortality rate (20%) when compared to Salmonella (1%). Unlike Salmonella the population at greatest risk for Listeriosis are pregnant women and their fetuses, newborns, elderly, and the immune-compromised. Demand for increased preventions and controls are being placed in the food industry; making it crucial to have a detection method that you can trust. 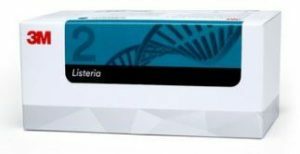 The 3M™ Molecular Detection Assay 2 – Listeria and the 3M™ Molecular Detection Assay 2 – Listeria monocytogenes help you detect this harmful pathogen. Regardless of the pathogen being tested, a reliable testing method is vital. Our complete portfolio of pathogen testing products feature the instruments, assays, and accessories you need to quickly and reliably test for major pathogens. 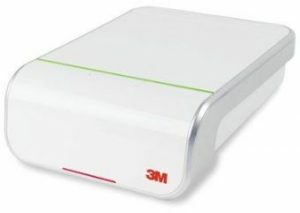 The 3M™ Molecular Detection System combines novel technologies – isothermal DNA amplification and bioluminescence detection – resulting in a fast, accurate, easy-to-use application that overcomes certain limitations of PCR (Polymerase Chain Reaction) pathogen testing methods. It simultaneously accommodates individual, pathogen-specific assays, enabling users in meat, poultry and other food and beverage categories to run up to 96 different tests concurrently for a range of organisms and across various food and environmental samples. The next generation 3M™ Molecular Detection Assays have been consistently validated by leading scientific validation organizations throughout the world (AOAC® INTERNATIONAL, AFNOR, Health Canada, MAPA) for a comprehensive variety of sample types.